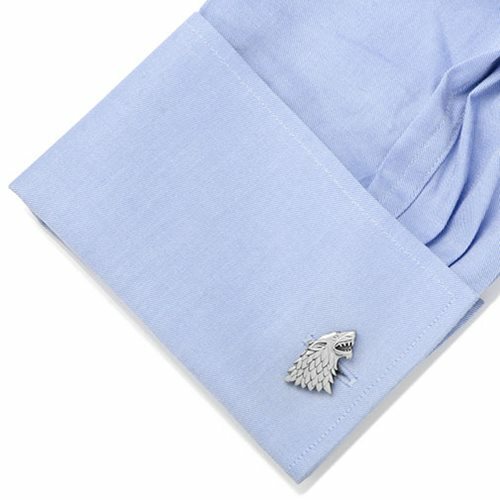 Whether you're a Ned, an Arya, or a John Snow, show your allegiance to the House Stark by wearing their direwolf sigil on your cuff. 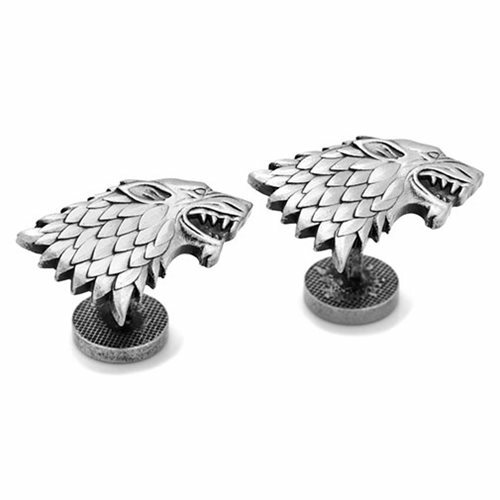 This antique finish die-cut Game of Thrones Stark Direwolf Sigil Cufflinks features a fixed backing in a silver colored plating. 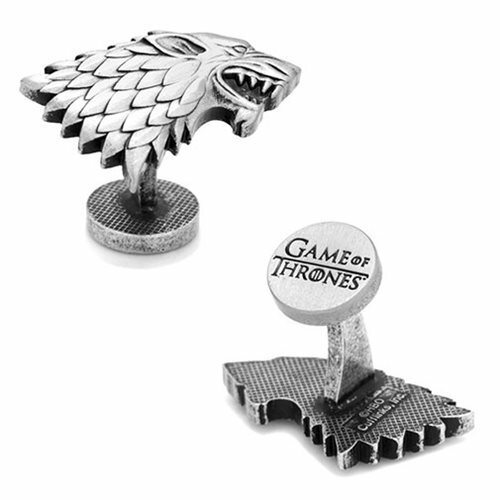 Get yours today to warn everyone that Winter is Coming. Measures about 1-inch tall x 5/8-inches wide.